That year he received a special merit certificate at the annual prize-giving as well as the Borough Council Library Prize for English. In 1939 he was in Form IV A and had the notable success of coming 1st in the 3-legged race (with Saunders) at the annual athletics sports. He was in Form V A in 1940 and achieved the prize for 1st Place in Form that year as well as passing both his School Certificate examination and also his University Entrance exam. In 1941 he was again 1st in his form, this time VI B, and again won the Borough Council Prize for English. He also achieved a credit pass in the UE Scholarship Exam and passed his Higher Leaving Certificate. In his last year, 1942, he was in Form VI A and was recognised as a Deputy Prefect. He was also Sergeant of No.12 Platoon ‘C” Company in the School Cadet Corps. He passed his Junior University Scholarship and also the University Boarding Bursary and, not surprisingly, he earned the high recognition of Dux of the School. He left School at the end of 1942 to attend University but things did not quite go to plan. When Japan entered the Second World War in 1941, and his father was mobilized overnight for military service, Leo’s school work was subordinated to maintaining the family farm. On the return of his father in 1943, Leo joined the Royal New Zealand navy and served in New Zealand and England before going to Canada to train as a Fleet Air Arm pilot. After the war, he returned to New Zealand to study at the University of Auckland. He received a B.Sc in 1948 and an M.Sc. in chemistry in 1949. In 1949, he was also awarded the Exhibition of 1851 Scholarship to study in England at Cambridge University, and obtained a Ph.D in Organic Chemistry there in 1952. 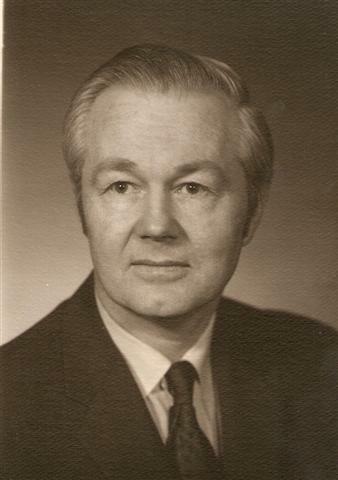 In 1953 he was given postdoctoral fellowships at Kiel University in Germany and then at Rutgers University in the U.S.A. After a further year at Rutgers as an Instructor, he joined the National Research Council of Canada and held positions at the Prairie Regional Laboratory (1955-1962) and the Atlantic Regional Laboratory (1962-1971). In 1971, he joined Dalhousie University as a Professor of Biology. Although he officially retired in 1991, he continued to carry out research as Professor Emeritus, at Dalhousie until 2007. During his years at the National Research Council and Dalhousie University, Leo gained a reputation as a researcher of excellence. His decades of research revealed much about antibiotic production by streptomycetes. Equally as significant, he was a top-rank teacher and mentor to his many graduate students. As evidence, a 2002 ceremony conceived and funded by his former graduate students planted and dedicated a red maple tree in his honour and unveiled a commemorative plaque on the lawn fronting the Life Sciences Centre. Leo studied the biochemistry of microorganisms and showed why they are able to produce antibiotics. This information has been useful in discovering new antibiotics, in increasing antibiotic production, and in tailoring antibiotics for new functions. Understanding how antibiotics are made has also uncovered ways to combat the resistance that eventually develops when antibiotics are brought into widespread use. Though he retired in 1991, Leo continues to contribute to the Canada Society of Microbiology. Through the years he has participated in the editing of the Society’s flagship Canadian Journal of Microbiology, chaired the microbial physiology section and the CSM Award Committee, and served in various executive positions including President in 1992-1993. Locally, he served as President of the Nova Scotian Institute of Science in 1980-1981. Involvements with other societies, and in the editing of other journals have been numerous. In short his scientific output has been staggering. Produced 283 scientific publications (240 refereed papers, 43 book chapters and review articles) and 2 books. The Charles Thom Award of the Society for Industrial Microbiology (1985). Became a Fellow of the Royal Society of Canada in 1974. Leo’s achievements were the result of hard work and an enthusiasm for problem solving. His interest in trying out new approaches led to a long and productive career. He began as a chemist, but moved gradually into microbiology and biochemistry as he investigated new aspects of each subject, and applied the techniques to his own research. As molecular biology and genetic engineering developed, he introduced these new disciplines in his research and continued to make use of them to solve problems, even when he was 80 years old. Leo was an excellent teacher and a mentor to his many graduate students, who admired his hard work and abilities, as well as his modesty, gentleness and interest in them. In recognition of his outstanding contribution to the field of medicine and science through his medical research, and to acknowledge his excellent work ethic and career, Professor Leo Charles Vining is the 7th inductee into the Whangarei Boys’ High School Fideliter Fellowship.